Melissa McCarthy in the latest Super Bowl commercial had us in splits with her struggles to be an Eco-Warrior but do we really need to a sanctimonious tree-hugger to be green?! 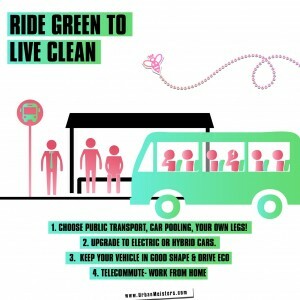 Sustainable lifestyle or green living as it’s fondly called is not ‘cult’ or ‘alternative’ lifestyle choice anymore. It’s the most obvious choice for our own survival and well being! And if you still think being eco-friendly is running naked in fields chanting tree loving mantras or aggressively protesting outside corporations- with all due respect to our activist friends- then you’re really living under a rock. Sustainable is straight up mainstream now- ask Jessica Alba, Ashton Kutcher, Gisele Bündchen, Emma Watson or the man of the every hour- Leonardo DiCaprio. Of course if you believe Trump then we can’t really do much for you! 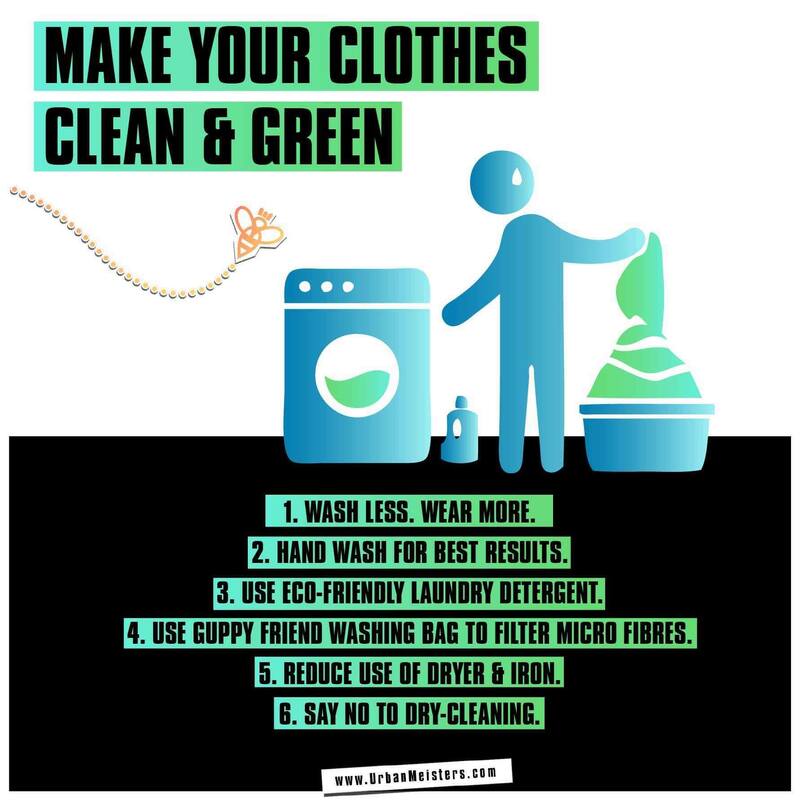 Why GREEN LIVING is WINNING…. You’d have to be a MARTIAN really to not acknowledge pollution as the biggest urban menace today. But only a few of us actually takes action to protect from it, awareness of health and well-being issues is still too low. But the bigger pain point is that we have forgotten the age old adage- prevention is better than cure! 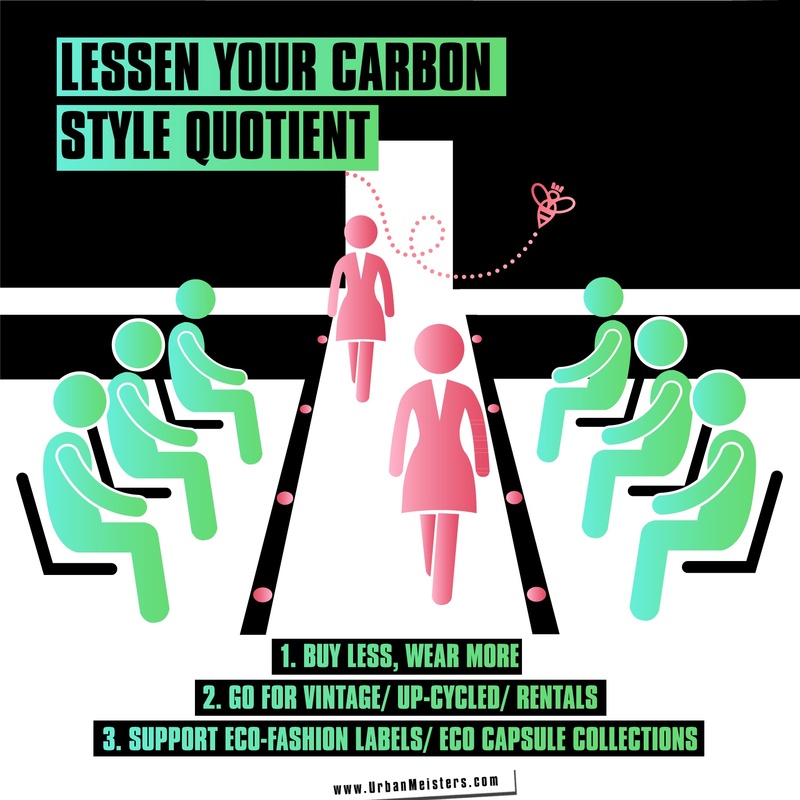 Can we not change our lifestyle to reduce our carbon footprint? 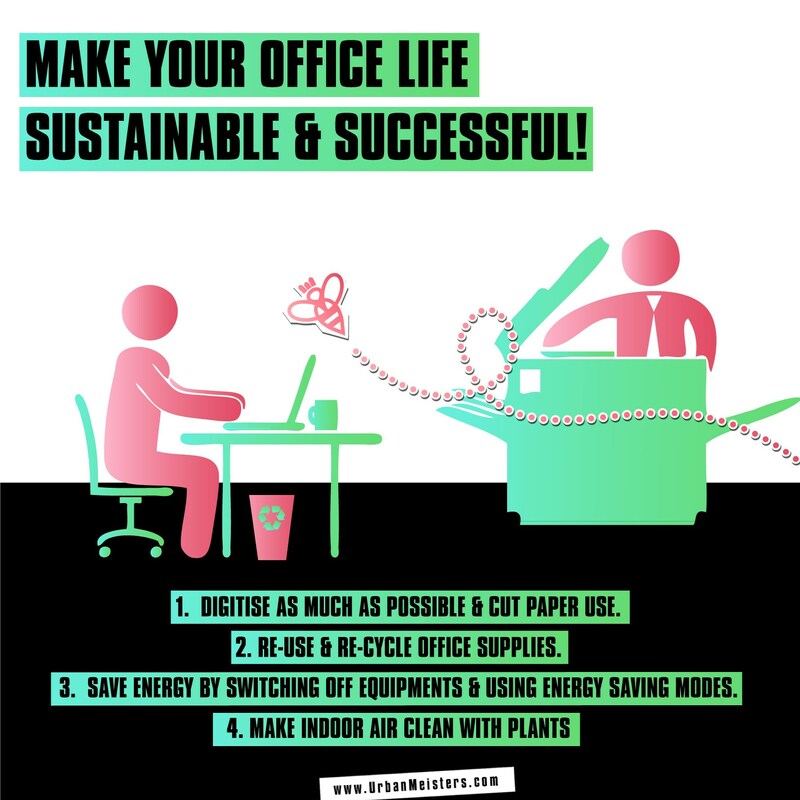 From feeling helpless about where to start to grappling with time constraints of daily life to thinking if our small step will really make any difference, we urbans hesitate to go green. 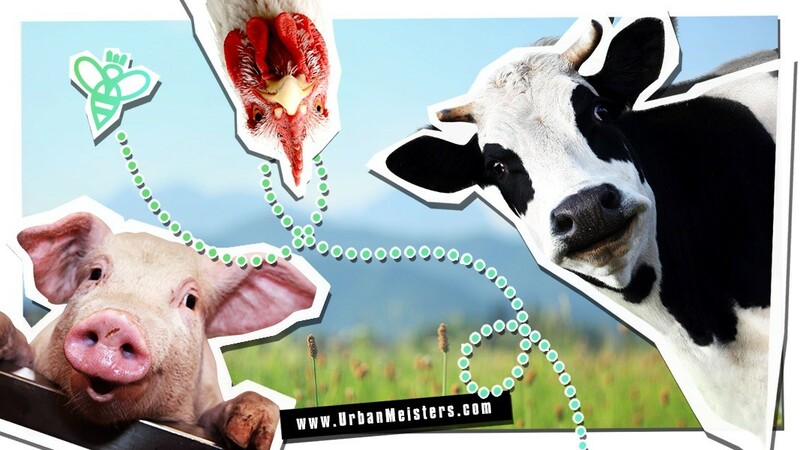 UrbanMeisters is about taking control back by making green living easy, fun and DOABLE! 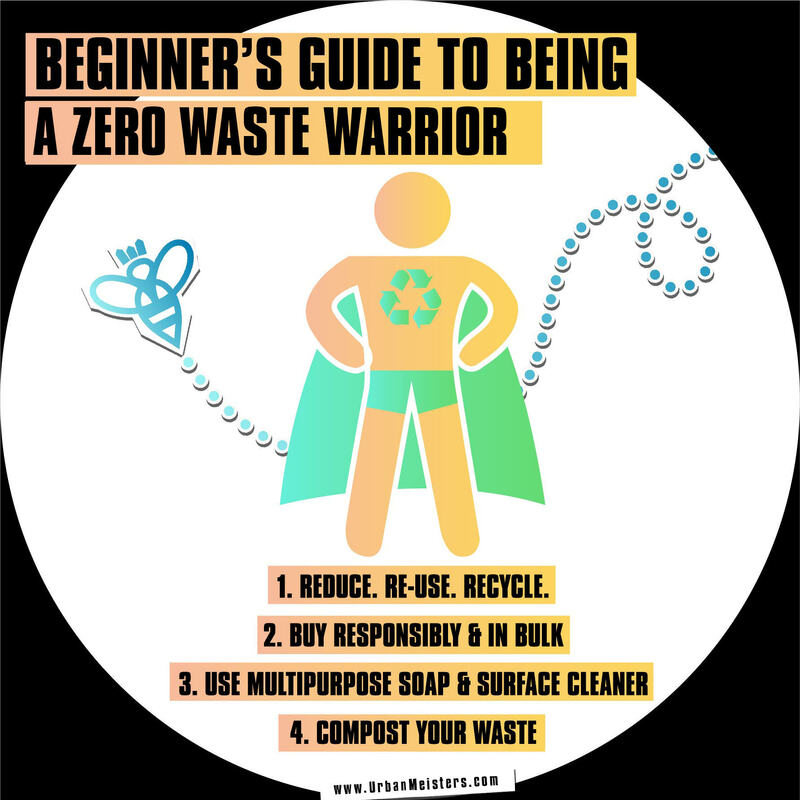 It’s the first sustainable lifestyle community- a 23,000 strong network of like minded urbans from all across the world fighting pollution and sharing green living experiences and knowledge from food, fitness, fashion, lifestyle, products and start-ups! 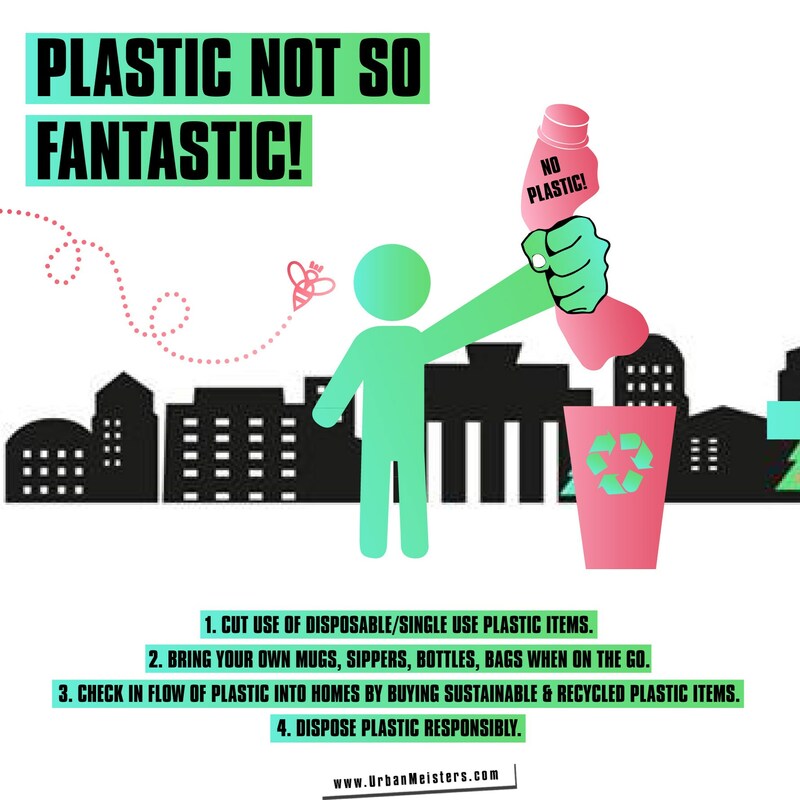 Because we at UrbanMeisters believe that the GLOBAL CITIZEN IS A GREEN CITIZEN. 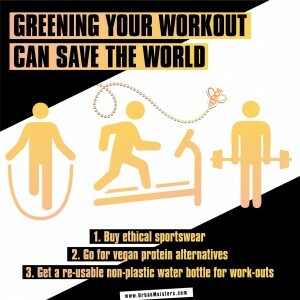 Where & how to green it up in everyday life? 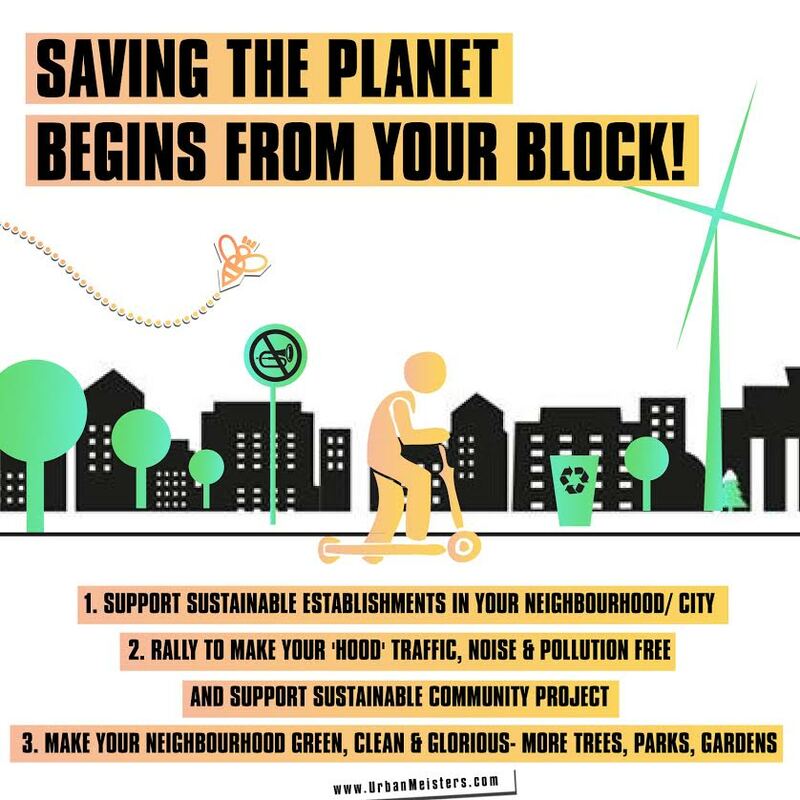 Helping you kickstart is a comprehensive green living guide made by Founder & Editor-in-Chief of UrbanMeisters, Mirela Orlovic or the FIRST LADY OF URBABMEISTERS as we like to call her! A social entrepreneur, Mirela has been at the forefront of facilitating conscious consumption for fellow urbans, pushing for more transparency from brands and fighting urban pollution. She has build a strong sustainable lifestyle network of like minded ‘green’ people. 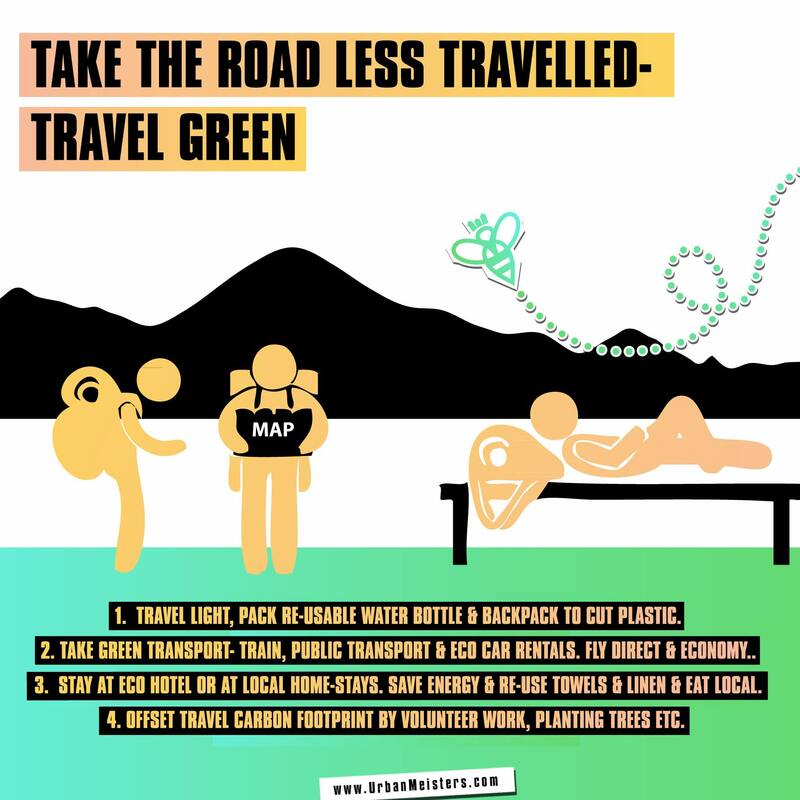 This holistic checklist of everyday steps to lead an eco-friendly lifestyle is a culmination of her extensive experience as a sustainable entrepreneur and being a green living practitioner herself. Mirela will give you 10 easy to follow tips on different aspects of everyday urban life like food, fashion, fitness etc so that you can practice green living in all it’s aspects. So over to Mirela. There are plenty of specialist food markets in all cities that provide an incredible richness and variety of food. Buying farm fresh and from specialists like butchers reduces waste and packaging. Also next time you go ‘bag shopping’ invest in a cute but sturdy ‘grocery bag’- a must for any greenie worth his/ her salt! If you got to order food go for local deliveries on bi-cycles like Foodora in France. 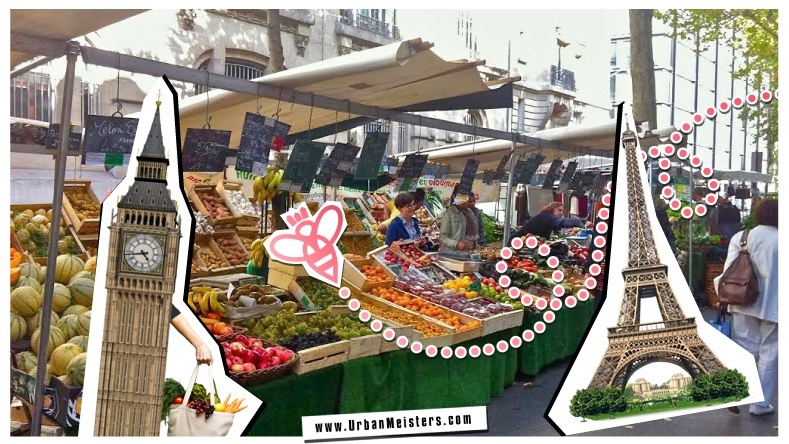 For a ready reference we’ve compiled an organic food market guide for London and Paris and also identified a farmer’s market hotspot in NewYork with our green urban hotspots partner One Heart Spots. The meat industry is one of the most polluting industries world wide, consuming enormous amounts of energy, polluting water supplies and generating significant greenhouse gases. And then of course there is the gross unethical treatment of animals in this industry. Top it all, frequent meat consumption is not good for our health as it increases for example the risk of heart disease. Even poultry and eggs is not better as the hens are often vaccinated with various antibiotics – eventually ending up in our organism. So cut down you meat intake to something like 1 x per month. Processed food too maybe one of the biggest conveniences of modern life but the pollution it causes and how unhealthy it is, is too steep a price to pay. So while I’m all for Côte de Bœuf binging once in a while, I keep it low. Also I patronise my local butcher establishment who is more transparent about where the meat is from and his offering is more nutritious and unspoiled by industrial meat processes. Sure it’s more expensive than the supermarket but it’s value for money. So eat less but better meat. Food needs delicate seasoning not a dose of pesticides. And even organic food is not safe from pollution caused by use of pesticides and contaminated water. In my interaction with organic food caterer and founder of KEILI, Caleigh Megless, listed as top 5 haute-couture caterers in Paris by Vogue, on what super-foods that fight pollution, I discovered a portable analyser MyDx (My Diagnostics), that can check the level of pesticides in a given food sample and send that information to you smart device! It’s a reliable technology- being used by even NASA. If you are using a similar tool or have heard of something similar the please drop us a line/review here. Your chance to be an Urbanmeister! 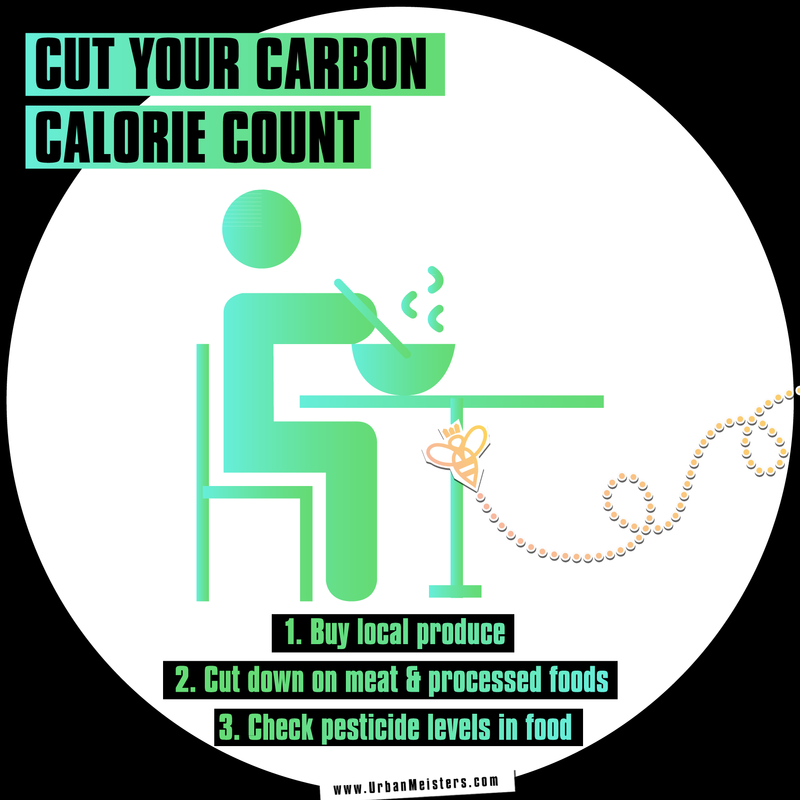 So here are 3 easy tips to help you not only cut down your food consumption’s carbon footprint but also to eat healthier, cleaner and better. And I’ll leave you with a bonus one- separate your food waste and recycle it into compost, home made fertiliser etc. There are great kitchen appliances for this now. Zera™ Food Recycler for instance fits easily in the kitchen and turns food scraps into fertiliser.